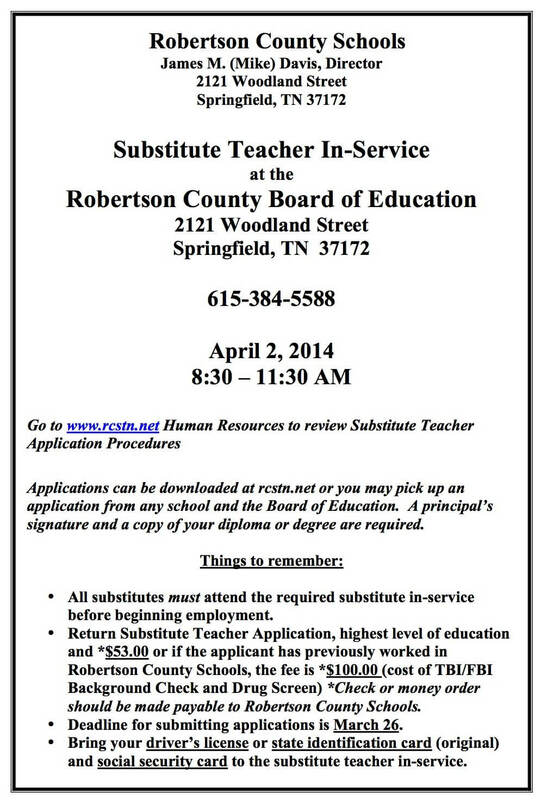 Substitute Teacher Training For Robertson County Schools. Apply Today! Substitute Teacher Training For Robertson County Schools. 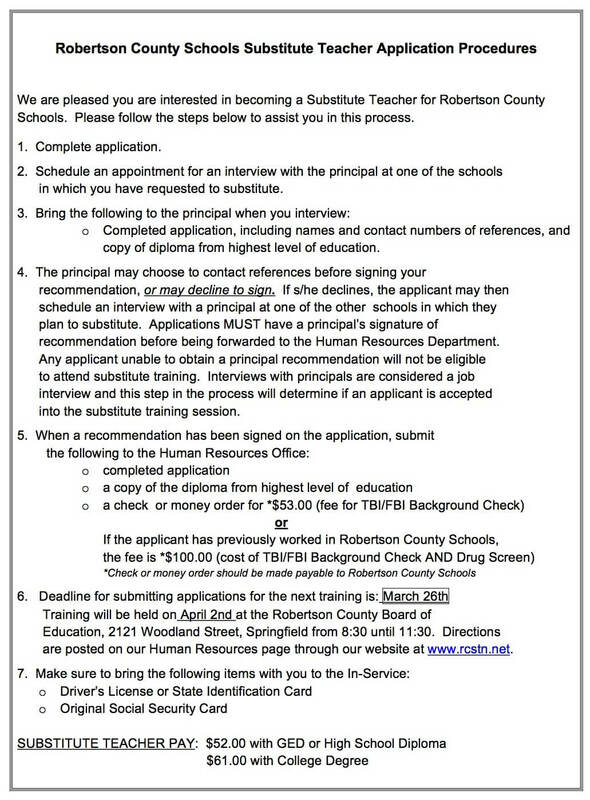 ROBERTSON COUNTY TENNESSEE: (Smokey Barn News) – An In-Service training session will be held on Wednesday, April 2, for anyone interested in serving as substitute teachers in Robertson County Schools. 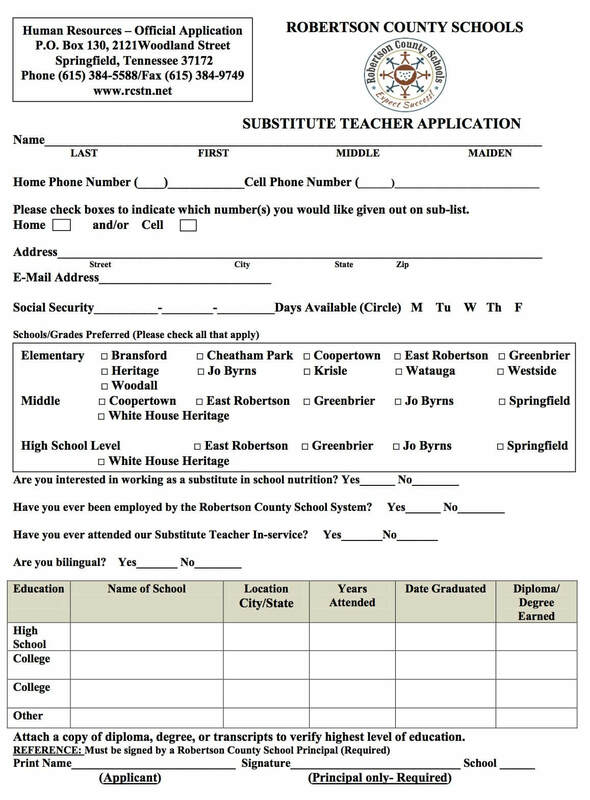 See the accompanying flyer, application form and procedures form for more information or call: 615-336-4919.